Android Wear, Google’s new wearable platform, is now available for use in the form of the Samsung Gear Live and LG G Watch. Tim already reviewed the Gear Live, so it’s now my turn to weigh in with thoughts on this other option. In short, Android Wear and the G Watch offer what I would consider to be first generation, almost-beta-like experiences. The G Watch is one of the first Android Wear devices ever made and Android Wear is so fresh and new that we don’t really know where it will be in two months from now, let alone a year or two years. This is one of those products that you buy if you have to own all things Google, are an early adopter, or are a developer who plans to explore the potential of Android Wear. The rest of us are probably better off waiting to see where things shake out. 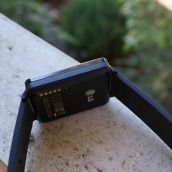 Below, you will find more thoughts on those ideas, along with a full G Watch video review. 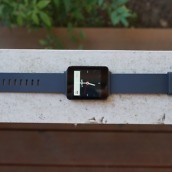 As I mentioned above and in the video review, Android Wear and the G Watch are tough to fully evaluate at this time, since they are beta-like products. So rather than run through our typical review format – Tim already did that with the Gear Live and my thoughts on the G Watch basically echo his there – I will instead run through some bullet points for areas that either stood out as positives or negatives for the G Watch. 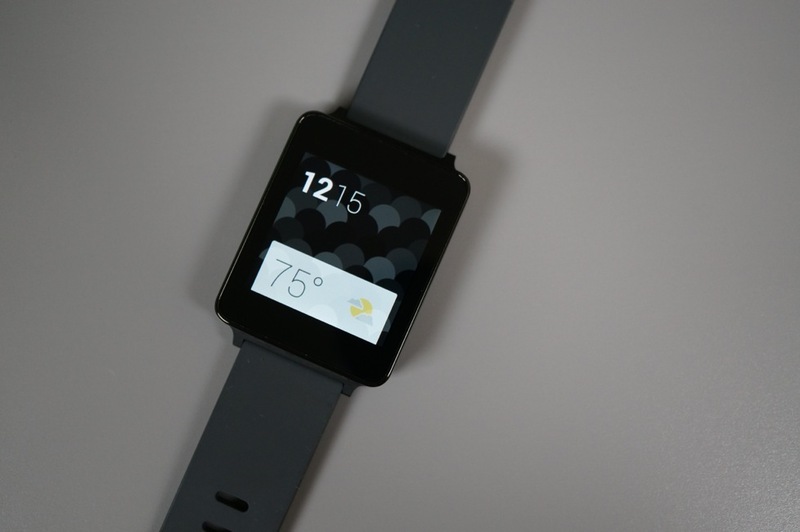 The platform is just so new that it’s tough to really rate the G Watch and its functionality thanks to Android Wear. 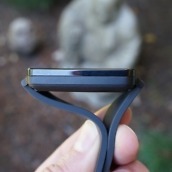 For now, this is one of those “Here is an early look at the device after having spent a couple of weeks with it, but things could dramatically change in a couple of months” type of reviews. Plus, you can catch it all in the video review. 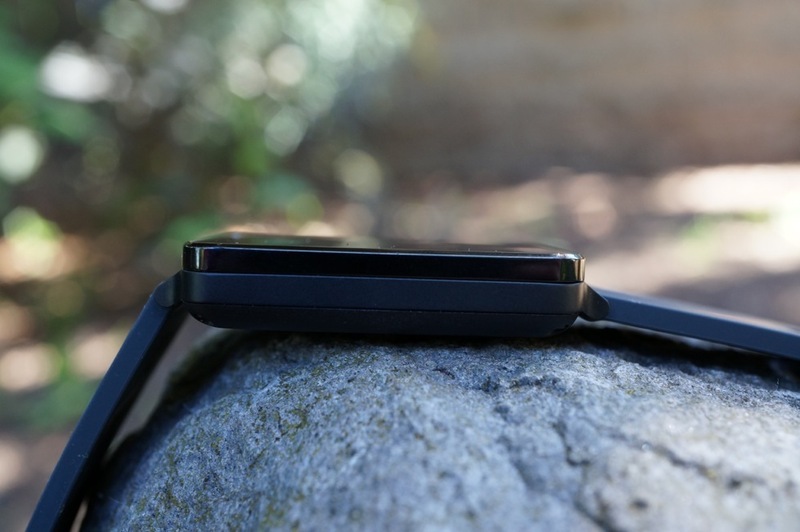 Design: If you have listened to us talk about the G Watch at all since it was first announced by LG months ago, you will know that we aren’t exactly fans of its design. 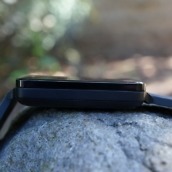 The G Watch is a black box with a display attached to a cheap rubber watchband. It’s not pretty. It’s not pushing design boundaries or attempting to be creative in any sense. It isn’t a fashion piece, nor is it trying to stand out. It’s not offensive or inspiring. It’s just meh. If you want a watch that won’t garner any attention, this is the watch for you. If you want a watch as an accessory to your style, you may want to look at other options. Display: The 1.65-inch IPS LCD display on the G Watch is acceptable, as long as you don’t step outside into the sunlight. Indoors, the watch is plenty bright and shows enough color to get you by. In sunlight, the watch is unreadable. In other words, the electronic contraption on your arm is completely useless should you take it outdoors on a sunny day. If your daily grind doesn’t include fresh air, by all means the display will get the job done for you. On a related note, the display is quite responsive to touch. Your swipes up, down, left or right are almost always recognized, which is something I wasn’t setting my hopes high for going in. 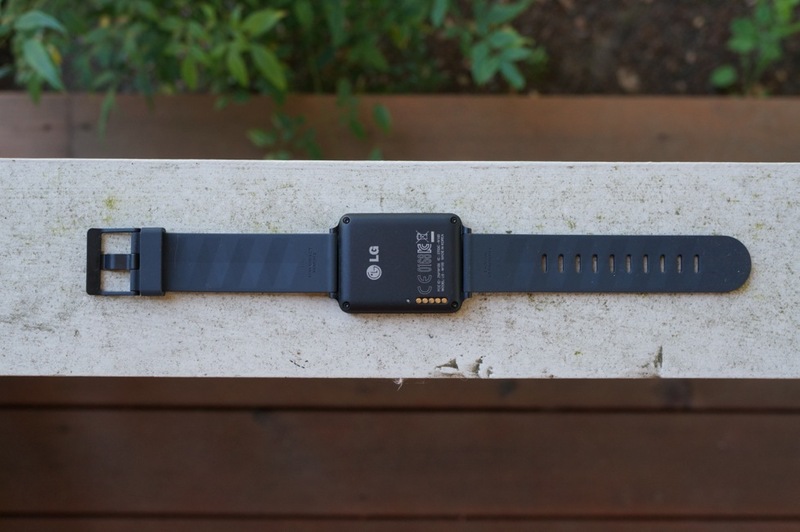 Battery life: Should you buy a G Watch, expect to charge it every day. Maybe I shouldn’t expect a tiny electronic device with an always-on color display to last for multiple days on a single charge, but one can hope for that to be the norm at some point. As of now, it is not the norm. You shouldn’t have to charge multiple times per day by any means, but by the time you go to bed, be sure to have the included charging dock waiting by your phone’s micro USB cord. 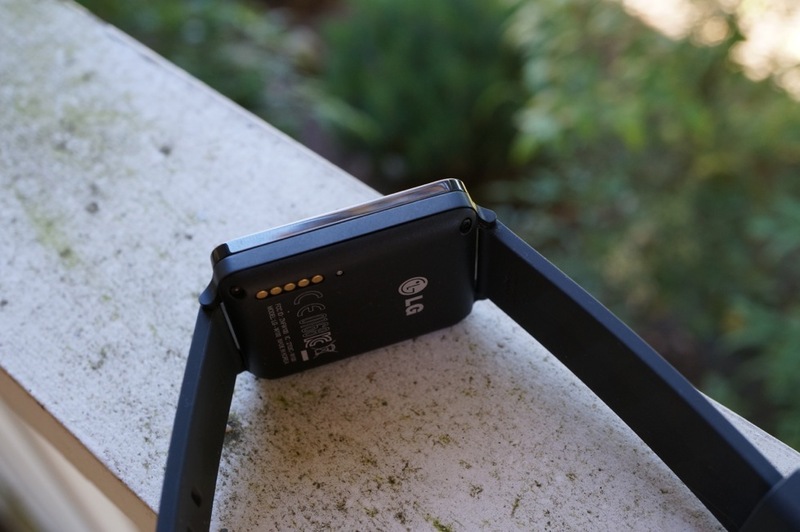 On that note, charging isn’t difficult on the G Watch, but it does require that you utilize that charging dock. The charging system is much better than that of the Gear Live, just try not to lose that dock or you will be out of a $229 watch. There is no other way to charge it than through the dock. Actually, there also isn’t another way to turn it on either. Google Now integration: Having Google Now cards for weather, stocks, travel information, etc. on your wrist rather than tucked away in a pocket on your phone is exactly what the world has been waiting for. While notifications can be a bit overwhelming on Android Wear, the automated stuff brought to you by Now is awesome. With hotel and flight information available without having to look for it, weather in multiple cities, and reminders for appointments all just a wrist flick away, your day actually can be more fluid. 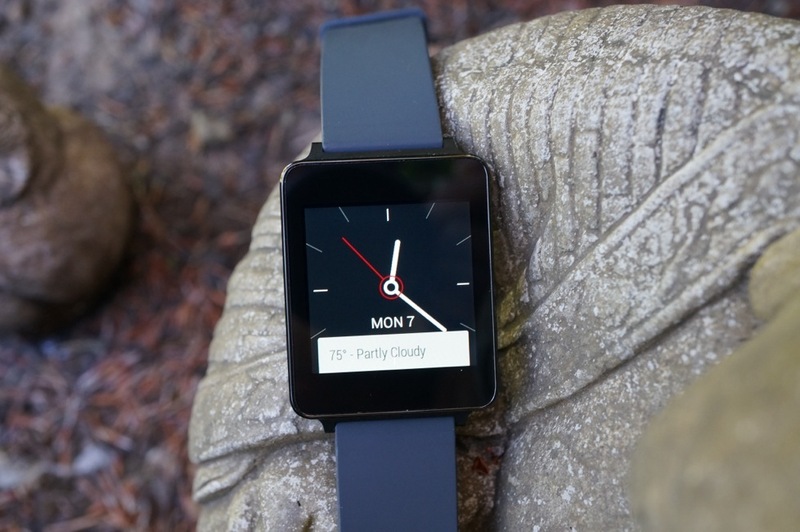 Notifications: While Google Now integration is amazing, the notification handling of Android Wear can be a bit much. Now, there are ways to turn notifications off for specific apps, but in general, should you have a couple of Gmail accounts, plus a work email, multiple conversations per day on Hangouts, and use a calendar to schedule your life, you will find everything a bit overwhelming. Your wrist will be vibrating constantly, you will struggle to figure out which apps let you respond with voice or if you need to pull out your phone anyway, and you will wonder if having Android on your arm is actually beneficial. 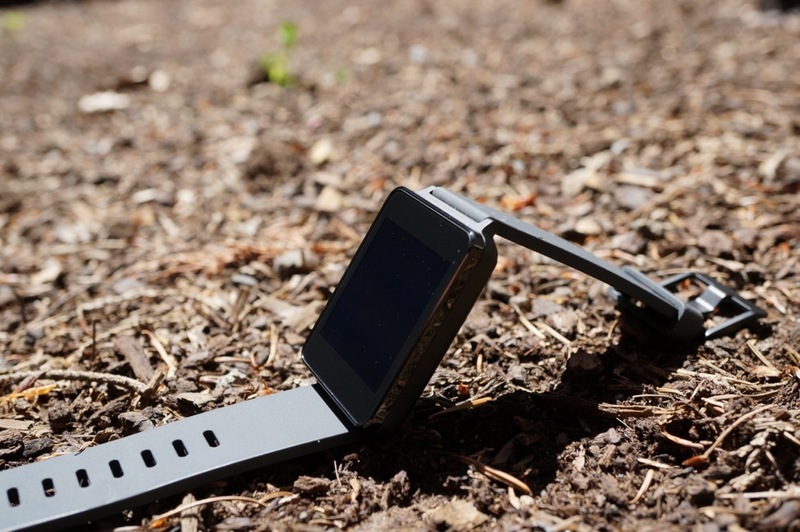 This is one of those areas that we hope only gets better as Android Wear matures. For now, you may want to take advantage of notification muting as much as possible. App integration: App integration from your favorite apps and developers hasn’t happened yet outside of a select few like Evernote, Level, and IFTTT, but it will come eventually. 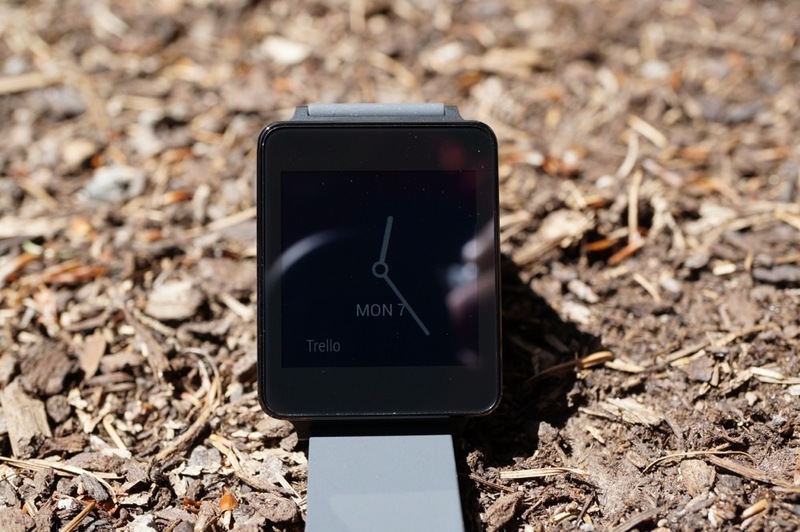 For now, developers will need to decide if Android Wear is worth integrating into their apps. If it is, then I can’t wait to see where they can take it. We have already seen Delta and American Airlines build in boarding passes to your wrist, Pinterest notify you of nearby pinned places, and Duolingo help you learn new languages on the fly, but what else can be done? Smarter minds than mine will tell me, I know it. 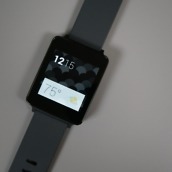 Watch faces: The G Watch has a whole bunch of watch faces that can be switched to fairly quickly. Most of them, unfortunately, aren’t great. Thankfully, developers are figuring out ways to get new ones on your device soon. If you thought Pebble had a cool watch face community, just wait until developers start taking advantage of these always-on color displays. 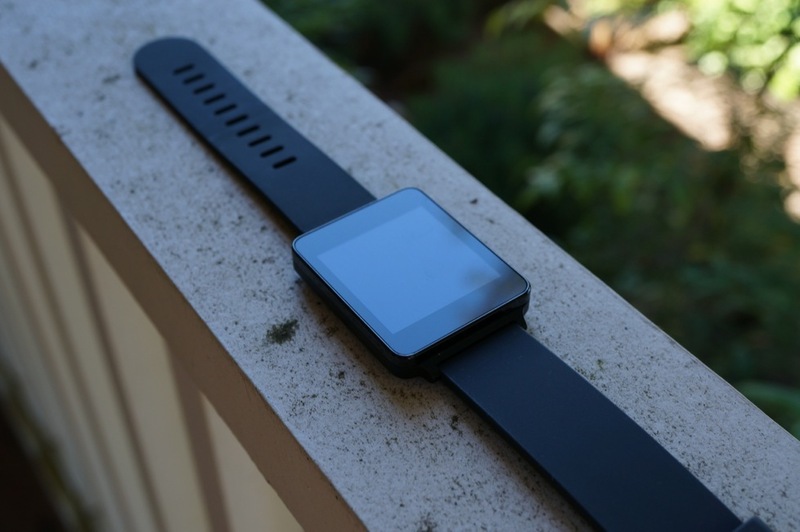 Availability: The G Watch is now available globally, according to LG. You can buy it from Google Play through a variety of countries, but retailers like Best Buy will sell it shortly. You shouldn’t have any trouble getting ahold of one. 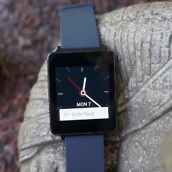 Price: At $229, I can’t help but think that the G Watch is somewhat overpriced. 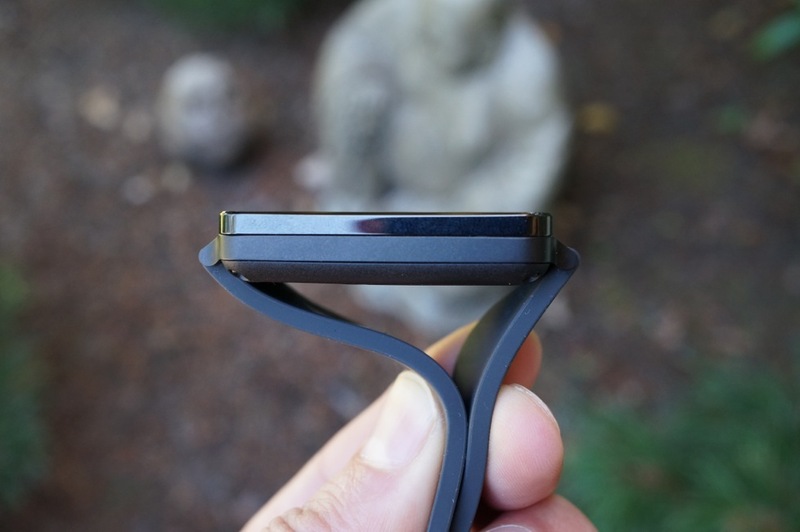 The Samsung Gear Live has a more high-end design, along with a heart rate sensor, yet only costs $199. I’m not sure where the added bonus is for the G Watch to run $30 more. 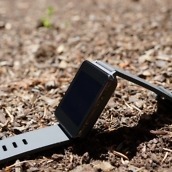 As I mentioned in the video review, early adopters will likely enjoy their time with the LG G Watch, while the rest of the world will be better off waiting to see how the Android Wear platform grows and if manufacturers like Motorola and HTC can deliver designs that are much more inspired than this. 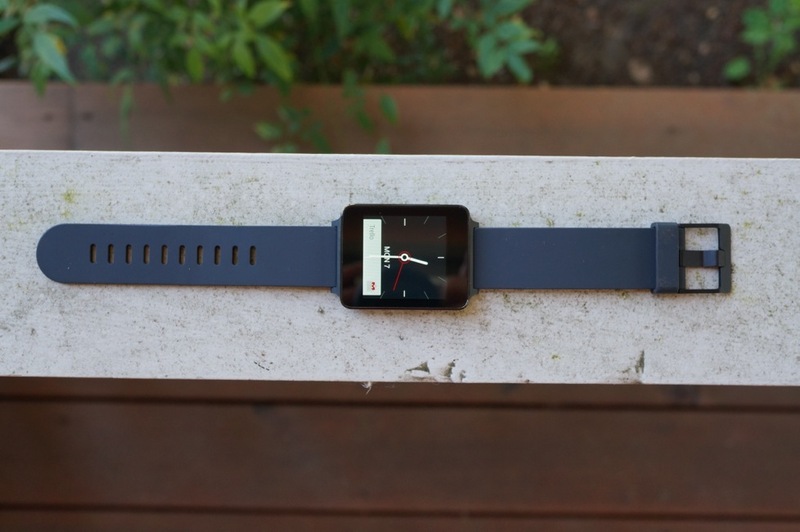 While there isn’t anything particularly terrible about the G Watch, there also isn’t anything that stands out as being game-changing or amazing. It does Google Now well, will soon be better with the help of 3rd party app integration, and can certainly come in handy if you are traveling. 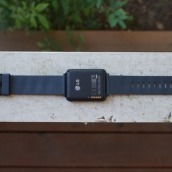 But beyond that, you need to decide if you need or want notifications on your wrist, if charging another device each night isn’t a big deal, and if a plain black box is the wrist accessory you have always dreamt of. For me, I think I will be OK without all of this for now.